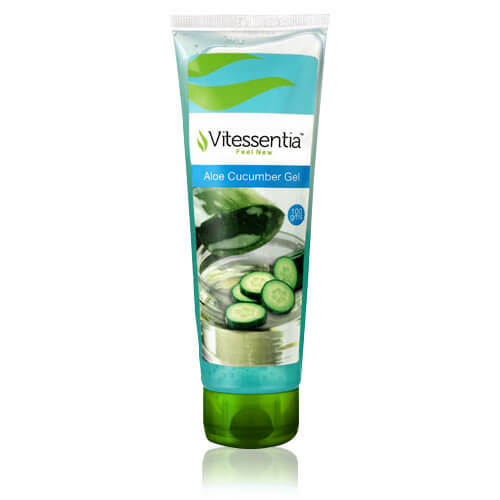 We manufacture Vitessentia Aloe Vera Cucumber Gel that is an aqueous based with cucumber extract. The gel Aloevera we export contains both properties of Aloe Vera and cucumber. It contains a high percentage of Aloe Vera combined with cucumber extract. It is a mild formulation and it is apt for daily use. It penetrates into the deepest layer of the skin. The gel is offered in a tube packing.